Ditch the New Year’s Resolutions! Well, it’s that time of year! Parents of hyperactive kids are beginning to breathe a sigh of relief, santa is already flying off around the world and gorging himself on mince pies and sherry, and taxi drivers are ramping up their rates to ‘Tarif ‘WTF” for all the yuletime revellers. But once the last piece of turkey has been chomped, and every male in every household is snoozing away to the Queen’s speech, another tradition begins to rear it’s ugly head; the dreaded New Year’s Resolution. Now if you’ve been with my blog for a while you’ll remember I grumbled about these last year, for the exact same reason I’m going to moan about them now. Ok, that’s a bit harsh. I’m betting quite a few escape through the net and are eventually cemented into truth by the invidual who made them. But on the whole, they fail, and they do so because they put too much pressure on the person who happily declared them. Lifestyle changes do not happen in one single night. They take persistance and determination over time, and gradually become habits. If you have a resolution to lose weight, completely changing your diet and exercise regime overnight and attempting to stick with it puts massive stress and pressure on you and eventually you return to your original way of living. A lot of people are beaten down by life. They are on one knee, looking on as the rest of the world jog or sprint past them, wondering (sometimes in jealousy) how they’ve got the strength and luck to muster on. Some are even flat on their face, refusing to go on. The hard truth is, nobody can help you up and onwards, nobody can carry you in their arms and rush you forward like some knight in shining armour. You have to do this for yourself. Only you hold the key. Look up, look ahead. What’s in front of you? What does the finish line look like? These are your goals, and they can only be set by you. The problem is most people don’t even know what they are running towards, what their goals are in life. Most see the finish line as death, hoping they get there intact peacefully. And it’s over before they even have chance to wonder what the hell they did with their time on this Earth. So carry on looking forward, ignore everyone else, for their goals will not match your own. Create the goals, and see them along the path. Get up – somehow, any way you can, grit your teeth, and start stepping forward. Even if it’s just a small shuffle at first. Before you know it, you’ll get momentum going, and suddenly you’ll see your legs begin to run, faster and faster, sweeping you towards a life you’ve always dreamed of. And not the ticking of the clock, nor the changing of the year can ever halt it. FOLLOW YOUR DREAMS, AND NEVER GIVE UP! Well I can honestly say it’s been a turbulant yet welcome end to the year in which big changes in my life have occured. I think now more than ever I’ve gained greater faith in my future and allowed myself to ‘let go’ of things which no longer serve me. 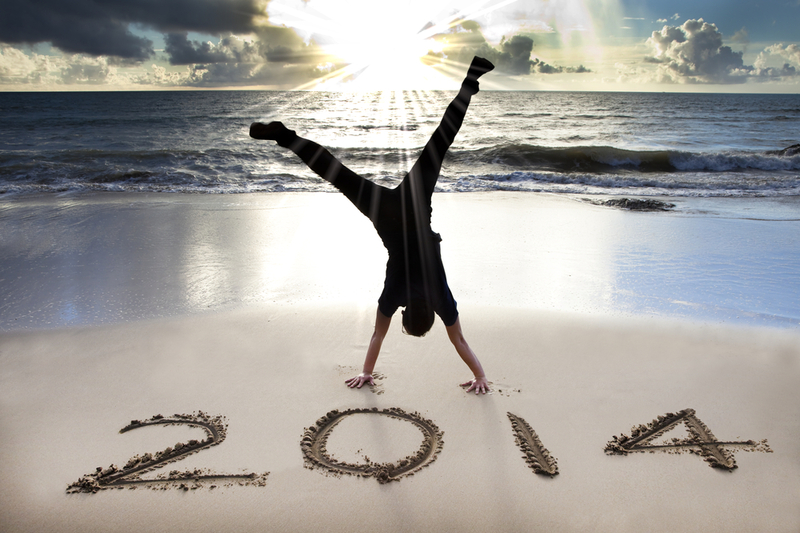 Time to step into 2014 with my head held high and a wonderful sense of fresh hope. But enough of that, and more about the work! I’m underway with the character designs for Bloodline Saga, with Sammy’s characters sketched and ready to be done. Also I’ve got lots more planned for Fallen Tears, with new twisted enemies and situations to throw at our determined and vengeful Dancescu twins. 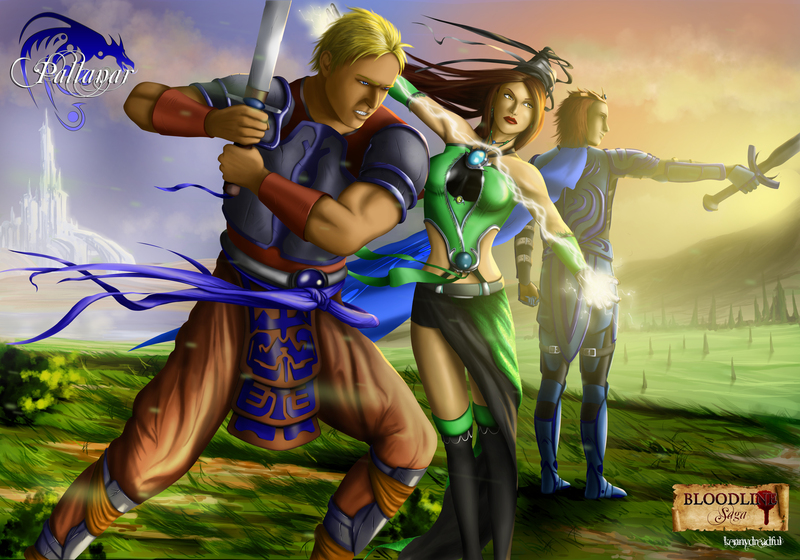 I am even in the process of illustrating a large painting with most of the main characters on it. Once this book is finished I’ll be releasing it for free digitally aswell as print a few copies for whomever wants one. I’m still planning the massive amount of images for Spirit’s Pain. The book itself is just about to be edited. Because this is my most cherished piece of work I don’t want to rush it and screw it up. The last book Spirit’s Fury will be fully penned soon too, leading the way for the next three installments – The Shadoed Brethren. Along with this, the planned nineteen books for Phoenix await my attention patiently. This could take many many years to write. I’m just glad I won’t be illustrating them ha! So nobody can say I’ve got no work to be getting on with. Which brings me to a great little story I was told a couple of weeks ago. Whilst searching for design jobs, a pal of mine got me a job at her work, as a hotel porter. Obviously this means doing the usual stuff entailed with this role, carrying bags around, moving furniture around and helping guests etc. It’s a far cry from sitting at a desk calmly ploughing through design work, but the change of pace has been great. I’ve enjoyed the experience so far, and all the staff are awesome. One of the staff, the head porter called David, who is an awesome jovial man and has been showing me the ropes, told me a story of how he came to work at the hotel, and stay in the position for over thirty-seven years. I liked it so much I thought I’d share it on my blog. For those who know or have been to Blackpool – most will be aware that on the Southern edge of the resort, situated amongst the sand-dunes was a Pontins holiday camp (now sadly bulldozed to the ground). Many years ago David and a pal of his would venture to Blackpool from Liverpool in search of Summer work. One particular Summer landed the pair working at Pontins. Whilst checking in, David enquired where his room key was. He was politely informed that there was no need for a key, as the door was hanging off. Not a great start as you can imagine. So now David and his friend found themselves residing in the staff quarters – affectionately referred to as ‘the jungle’. Apparantly fights between the staff (mainly women David tells me!) happened constantly in the jungle, and the relentless rowdiness caused the pair to leave Pontins in search of alternative work. As they stepped out onto the road outside Pontins they looked around, debating what to do next. The obvious choice would be to head into the bright lights of Blackpool, as the other direction seemed to be an empty road, with a quiet looking town in the distance (St. Annes! My town if you didn’t know!) But the two decided to flip a coin instead. Heads they turn right and head into Blackpool, where work is pretty much guaranteed. Or Tails, turn left and head down the long sandy road towards St. Annes (they didn’t even know its name at this point). To cut a long story short, after trekking into St. Annes David ended up working at the hotel I am now, and his friend started working at the town’s Conservative club. As I’ve said in previous posts, I’m a great believer in quantum physics and this implies that another David landed Heads and went into Blackpool, thus taking his life in a completely different direction and changing his world as well as the lives of everyone at the hotel. I wonder if he found a job as a porter in Blackpool and stayed there for as long as he has in St. Annes. It just shows that sometimes you need to place your destiny in the hands of fate.